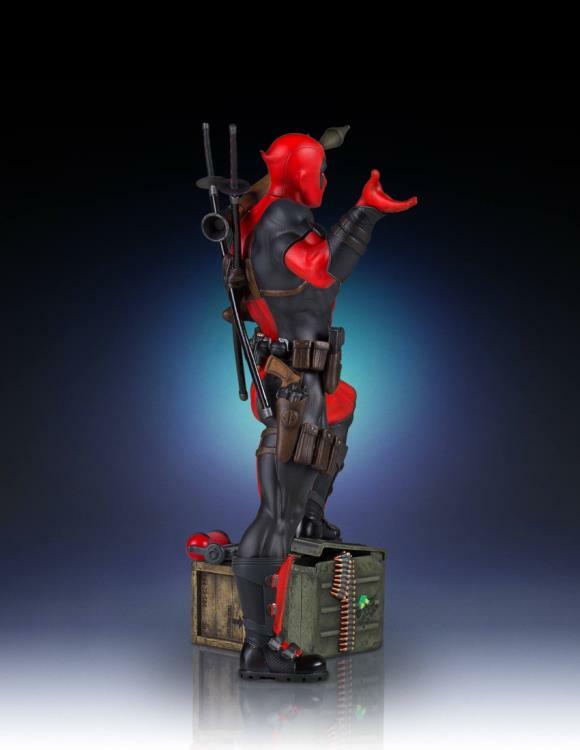 Gentle Giant Ltd has seen a tremendous reception to our Collector’s Gallery line of statues. 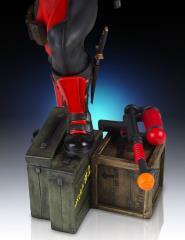 The fan response for these highly detailed and collectible limited edition statues has been overwhelming! 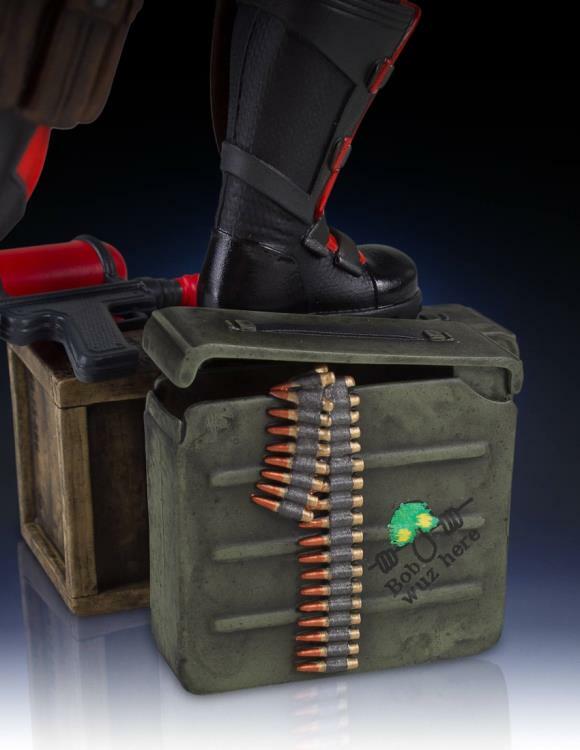 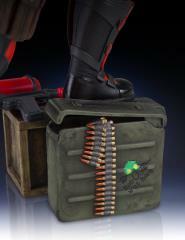 We are excited to announce our next Collector’s Gallery masterpiece, Deadpool! 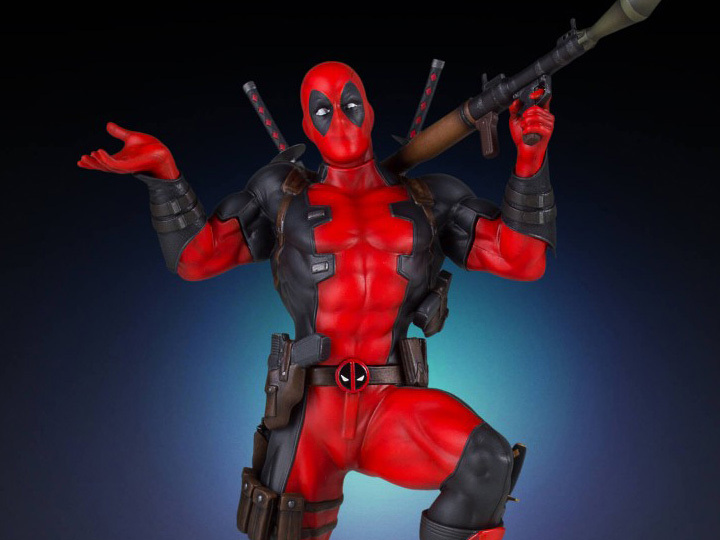 From comic book casanova to Hollywood heavyweight, the ‘Merc with a Mouth’ continues to defy all conventional definitions of the title “Hero”. 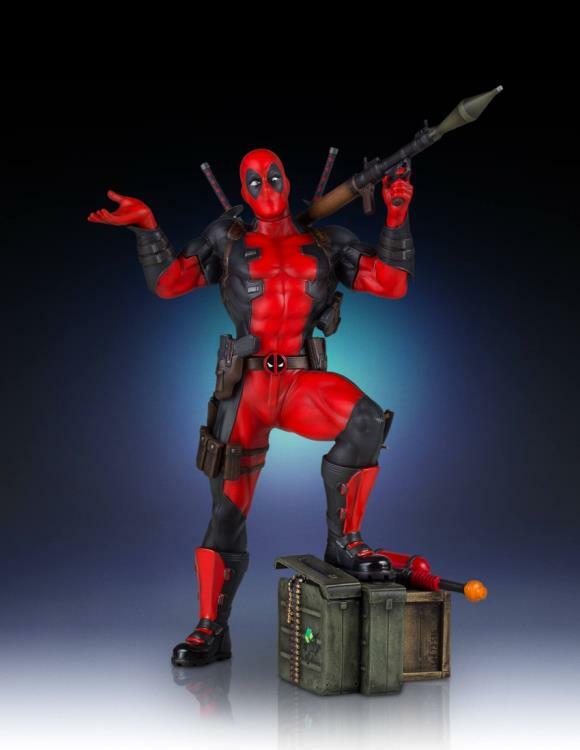 Wade Wilson will go down in the history books as one of the strangest, yet interesting and entertaining comic book superheroes of all time. 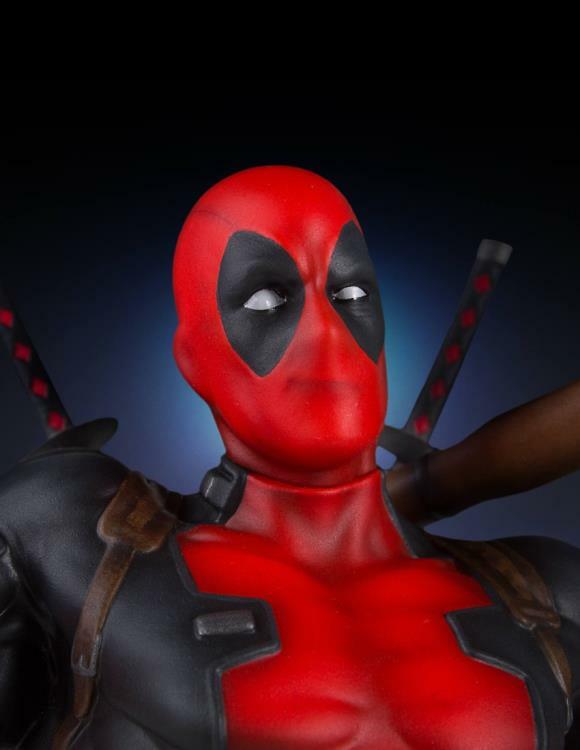 The Deadpool Collector’s Gallery Statue has been digitally sculpted, and hand-painted by the amazing artisans of Gentle Giant Studios. 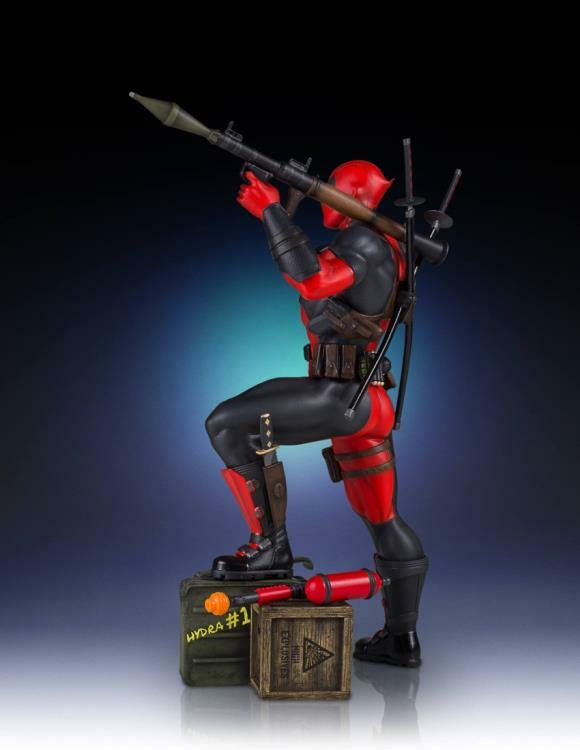 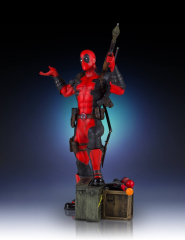 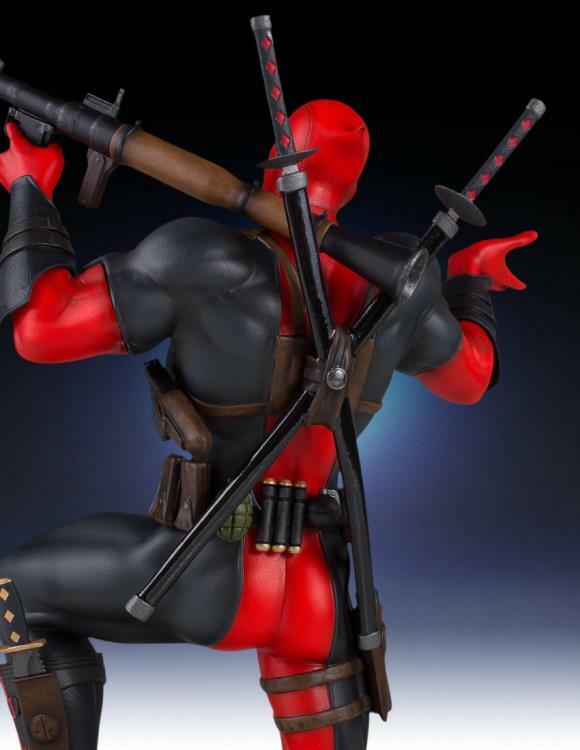 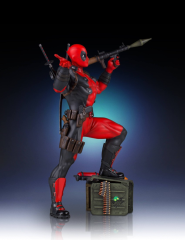 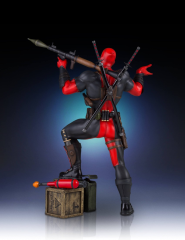 This 1:8 scale statue of Deadpool features his signature swords, a plethora of projectile weapons, and some questionable ones as well.